218,00 € прибл. 15.689,87 руб. The Tech21 Sansamp Programmable Bass Driver DI is a 3-channel, programmable, rig-in-a-box for bassists who can’t get enough of a great thing. 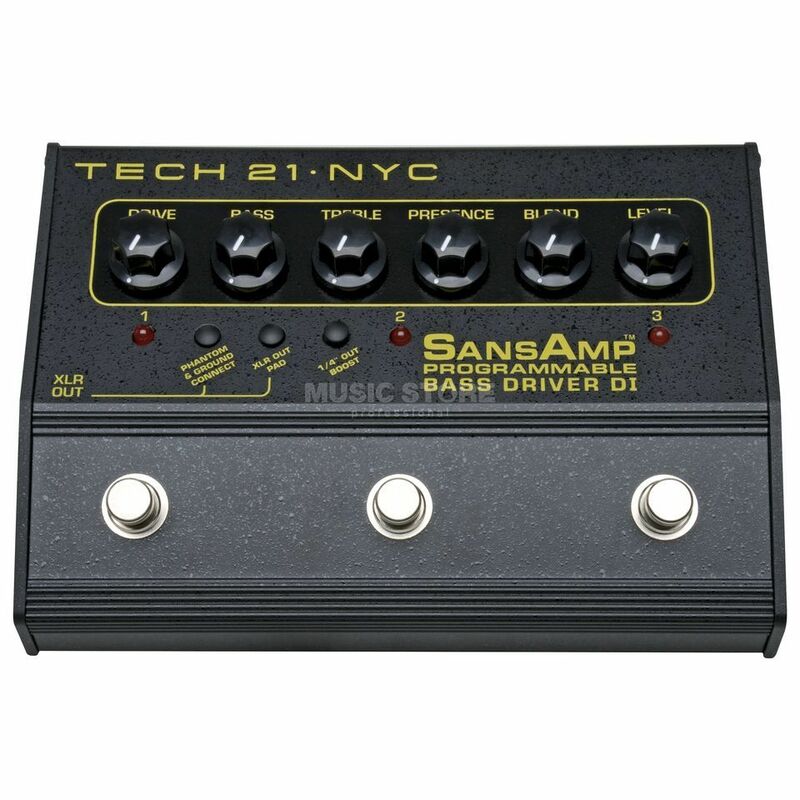 The Tech 21 Sansamp Programmable Bass Driver DI has all-analog circuitry, which features the same controls as its single channel predecessor: Drive, Bass, Treble, Presence, Blend and Level. Digital only in its programmability, you just tweak the knobs until you find a tone, double-tap on a footswitch, and it’s saved in that channel. It’s that simple. Three of your faves -- to go!